Caroline Broué: Do people read your books in Nigeria? Chimamanda Ngozi Adichie: They do, shockingly. Broué: Are there bookshops in Nigeria? Broué: ...You were talking about single stories, now when you talk about Nigeria in France, unfortunately, there is not much said about Nigeria, but when people talk about Nigeria it’s about Boko Haram, it’s about violence, it’s about security. Now I should like you to tell us something about Nigeria which is different, talk about it differently. That’s why I’m saying “are there bookshops,” of course I imagine there are. I could ask the question to the French, do people read in France, I think less and less so. Adichie: I think [laughs] it reflects very poorly on French people that you have to ask me that question. 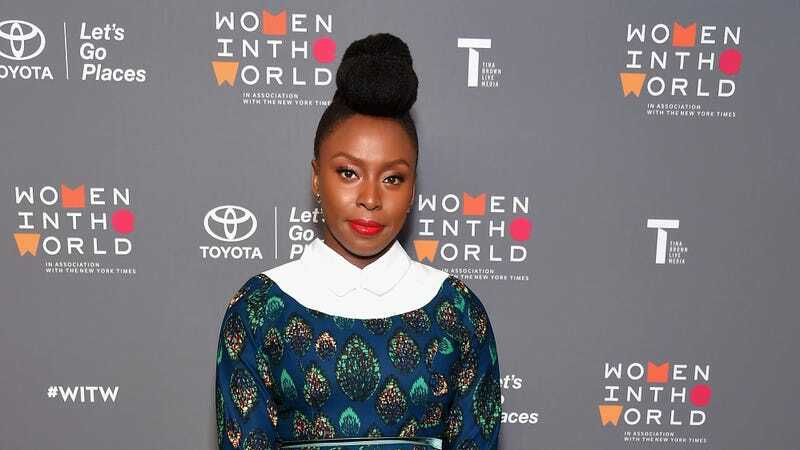 Adichie: Surely, it’s 2018. I mean, come on. My books are read in Nigeria. They are studied in schools. Not just Nigeria, across the continent in Africa. And that is the extent to which she will explain Nigeria.